Unforgetting L.A. is our Wikipedia series focused on improving coverage of West Coast art and its history. Anyone can edit Wikipedia, but not everyone does. Studies show that fewer than 13% of Wikipedia contributors identify as female, and 75% are under the age of 30! You can change that and make Wikipedia’s coverage of art more accurate and diverse. We’ll teach you how. 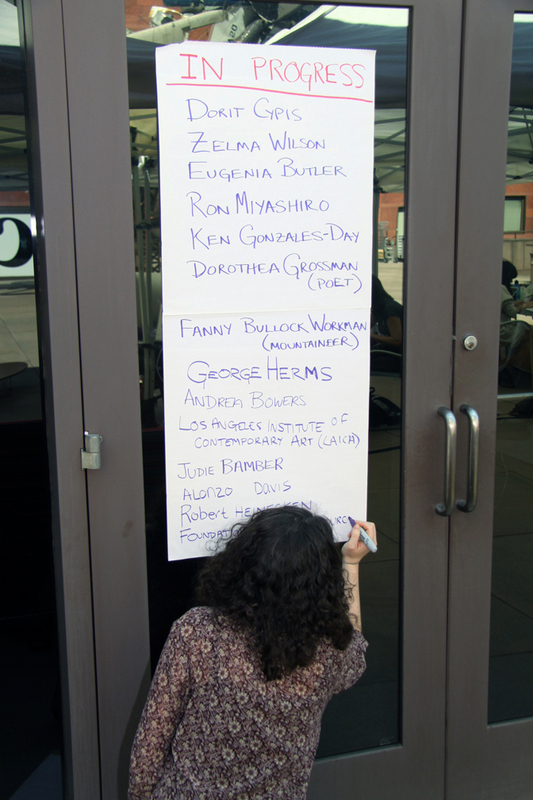 Since 2013, we’ve led Wikipedia training workshops and write-ins at local museums, art galleries and nonprofit organizations including the Academy of Motion Picture Arts & Sciences, the Getty Research Institute, LACMA, MOCA, Hammer Museum, California African American Museum, MAK Center for Art and Architecture, and 356 Mission. Beginners welcome! These events are free and open to everyone. To receive notifications about future meetups, please join our mailing list. You can also find us at the Wikipedia Los Angeles Facebook group.